Center, learning the principles of garden design from the Polly Horton Hix Design Garden or strolling through the one and a half miles of flowered pathways in the DeHaan Tiergarten, you will be inspired, impressed, enlivened and entertained. a dramatic view of the downtown skyline and the riverfront. 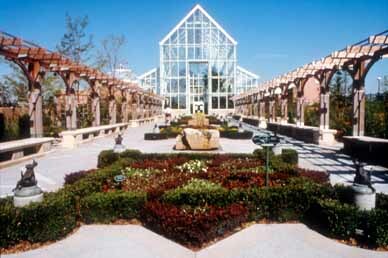 Celebrating the roots of gardening in Indiana, the glass-enclosed Hilbert Conservatory is the site of four to five seasonal shows per year. 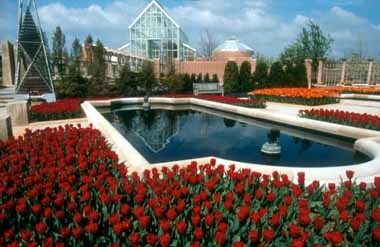 The Conservatory is 5,000 square feet in area and 65 feet in height and it includes a 12-foot high mezzanine level. Nearly on an axis with the Arts Garden, the Conservatory is an architectural complement to the downtown arts venue. At nightfall, the Conservatory's barn-like profit is even more dramatic. Highlighted against the dark sky, its heavy steel beams create a skeletal image glowing from within like a beacon in the night. The outside gardens in their entirety are named for the DeHaan Family Foundation, which provided funds for their completion. The name "Tiergarten" (animal park) honors the origins of the DeHaan family, as well as the sister relationship of the Gardens to the Zoo. 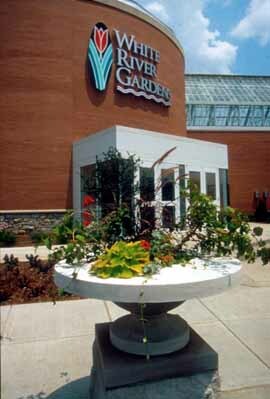 The outdoor gardens are composed of five distinctive elements: design gardens, a shade garden, a sun garden with meandering trails and a stream, a water garden and a wedding garden. From the design, sun and shade gardens - visitors are able to walk through tall hedges into the water garden. Reflecting from the tranquil pools they surround, colorful flowers are planted throughout this space and aquatic gardening ideas are presented in the pools. Located on the eastern side of the main building, the Riverhouse overlooks White River and with its large, expansive windows, offers a truly spectacular view of the Indianapolis skyline. 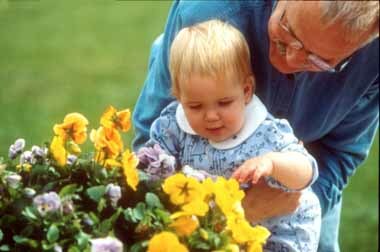 White River Gardens in spirit belongs to the living creatures and plants that nhabit it. In one sense, it is an enchanted place where all is not as it seems to be. Clues as to the identity and friendly nature of the garden inhabitants lie hidden within its infrastructure, its plantings and furnishings awaiting discovery by the visitor. For more information call: (317) 630-2001.